3. Function. Well-appointed table decor is the product of balancing the attractive with the useful. 4. Style personalized. Simple or sophisticated, stay true to what captivates you. The one hard rule with creating your table is that if it is something you are comfortable with, your guests will be too. Even though the boat is pulled, we believe in nautical inspiration throughout the year. 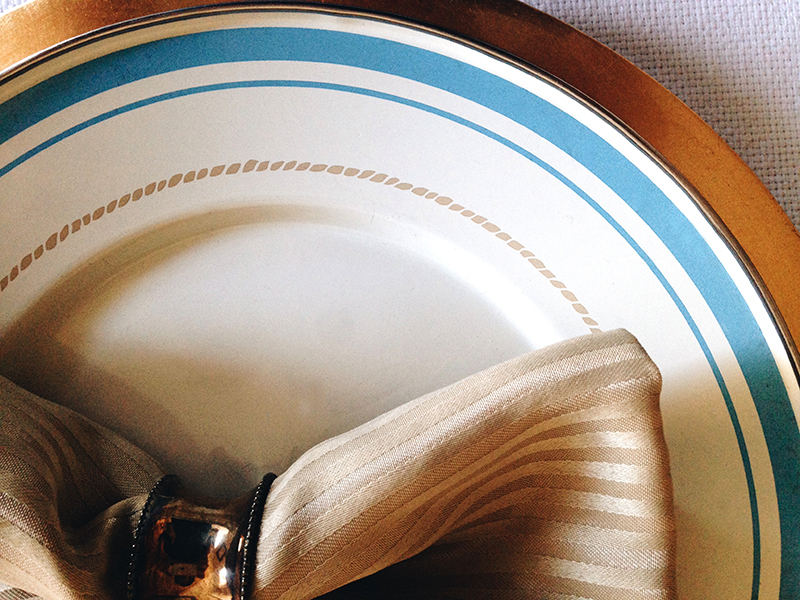 We loved the gold ‘roping” on these vintage metal plates. 5. Inspiration. If you need a finishing touch, or a perfect piece, fortunately, the Lake Minnetonka community is full of fabulous resources for your home. Take advantage of one of the many lake area retailers to find what you’re looking for. 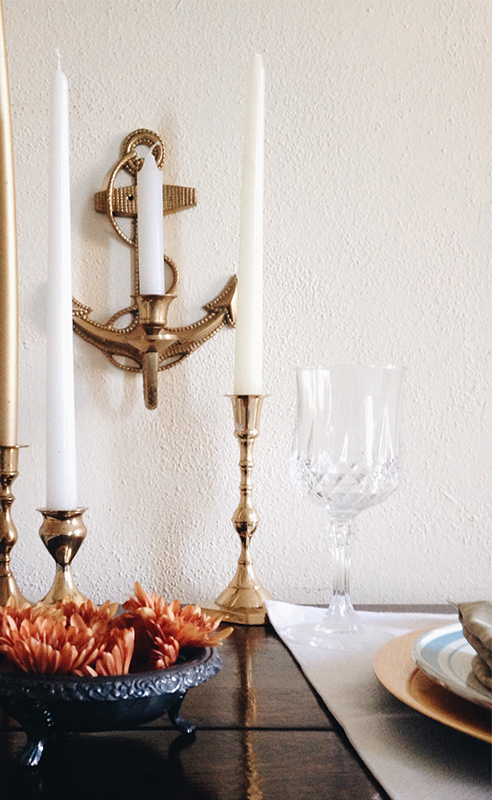 We couldn't be happier with the anchor wall sconce, a true find at a local antique dealer.